It's Sgt Slaughter's Mat Wars and he wants you, so says the box, provided you have the guts it takes to compete and enough street-smarts to be a wrestling manager too. 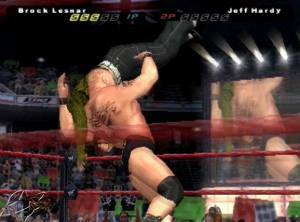 Moves include a punch, body slam and a flying pin. 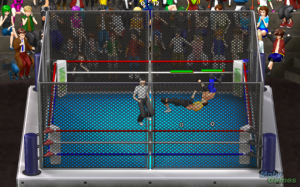 Opponents can be thrown over the ropes and fought outside the ring. You can get combat pay if you win, as well as move up ranks to the championship. 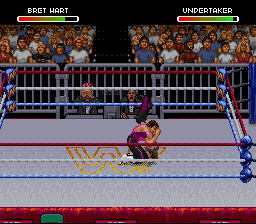 In the game's other mode of play, outside the ring, you can be a manager who bids on a wrestler in Sgt Slaughter's auction house. From there you train him and have him fight his way to the top.